Its official! the 2010 Catwalk Classic is today at 6pm at showplace arena in upper marlboro, md and I have one pair of tickets to leave in will call for someone…do you need a pair? ?…email your first and last name and a number to reach you at to CIC@COLLEGEISCOOL.ORG and if I draw your name I will give you a call to let you know that you are going to the catwalk classssic!..good luck! And be sure to join our College Is Cool movement! *special thanks to the good people at Cultural Communicaitons! 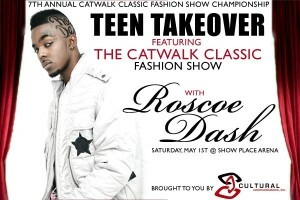 The 2010 Catwalk Classic is a well known fashion show that brings together over 4,000 people in the DC Metropolitan area to watch models from various high schools compete for fashion supremacy on the runway! On Saturday, May 1st, 6pm at Show Place Arena in Upper Marlboro MD, College Is Cool inc will be in the building collecting money for our Dollars For Scholars Fund while models pump down the catwalk. We are also giving away a pair of tickets via this website!..details coming soon!..LET THE COUNTDOWN TO THE CATWALK CLASSIC BEGIN! ANGIE ANGE ALL SKATE TODAY!!! Theme: Models on Skate Party! Students who bring report card with 3.5 gpa or above get in FREE! Angie Ange broadcasting live 6p-10p on 93.9wkys..come through and put you school on the MAP! I want to send a big shout out to the college students who came with me to Dr. Henry A. Wise High School in Upper Marlboro, Md to speak with the graduating seniors and answer all of their questions about what to expect when they go to college. Part of being successful in college is being prepared, and CIC wanted to help seniors by having them speak with current college students who can give them a heads up about campus life, studying, working, and making good decisions. We had college students from Howard University, University of Maryland, and Bowie State. The panel went great and we shared laughs about dorm life experiences, relationships, and the overall college experience. HIgh School seniors have a lot to look forward to as they continue their education after graduation! Special shout out to Ms. Harris and Dr. Young for all of their support and for giving us the opportunity to reach out to students. We also got a chance to speak to some freshmen at Wise and encouraged them to focus on their grades NOW so that they can get into college later! 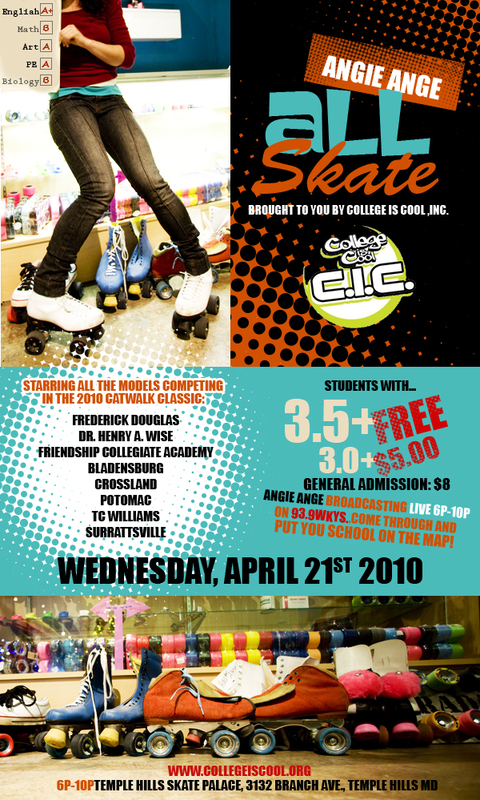 CIC inc is hard at work creating some big events for graduating seniors and current students who know a thing or two about fashion and roller skating!…stay tuned!! !